Designs call out for last minute donations to gift collection. The gifts will then be handed out to families in need from Design’s very own Santa’s Grotto on wheels. Accepting donations until Friday, 14th December, the three charities benefitting from the appeal are Barnardo’s, Hull Women’s Aid and Preston Road Women’s Centre. Mr Daysley said: “We’re overwhelmed by the contributions we’ve received so far, but we still need a few more gifts to help fill up our grotto. Designated drop-offs for gifts include inside Rock-Up at St Stephen’s, outside Hamleys in Princes Quay, and at Flemingate Shopping Centre in Beverley, inside Inflata Nation. 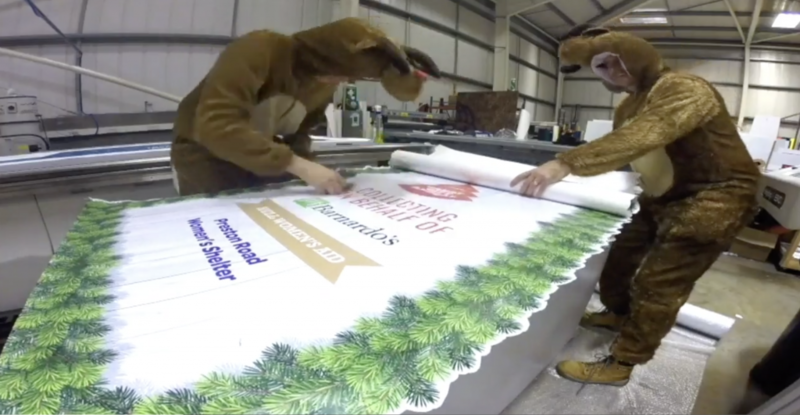 As experts in wrapping everything from walls and buildings to fleets of vehicles, Designs employs more than 35 people at their premises in Hull. As well as offering vehicle livery services, they have carried out projects in industries including retail, education, commercial and property development. Be the first to comment on "Final call for Santa’s grotto on wheels donations"